Let's get straight to The Point - known by many as the best building in the Viaduct, the apartments were completed in 2000 and boast some of the best NW views available to apartment owners, with its prominent position on the edge of the Viaduct Marina. There doesn't have to be a compromise when it comes to space, as this apartment's previous life was as two separate units - however - if you don't actually need all that space, it can easily be turned straight back into two separate apartments again. The versatility of the units means there are multiple options as to how the properties are used, the choice is yours; live in one side and rent the other, or move the whole family in to make use of four bedrooms, four bathrooms, two kitchens, two entrances and a double length deck that can be separated. No matter which option you choose, you can still soak up the uninterrupted views of the water and marina from the covered balcony with its stylish timber decking; an added bonus is that this area can be used all year round with the feature of installed heaters and full length sliding shutters to enclose the space. A North West aspect means plenty of sun makes its way into the apartments and large stacking sliders allow for that always important indoor to outdoor flow. Located away from vehicle noise/access and raised from the viaduct, there is plenty of privacy too. 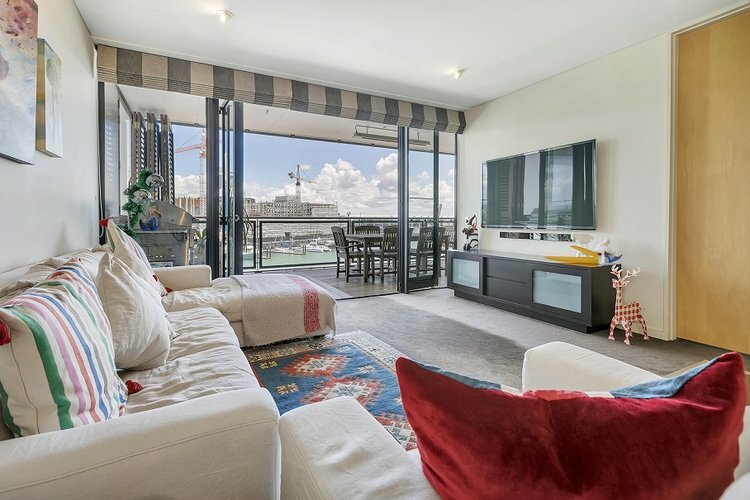 You can literally walk five minutes to some of Auckland's best bars, restaurants and attractions and once you have had enough for the day (or night) a spacious, fully spec'd apartment is waiting for you. Two car parks, onsite management, a heated swimming pool, sauna and gym are the icing on the cake. This is rare opportunity to own a stunning doubled sized apartment over 200sqm in the heart of the city.